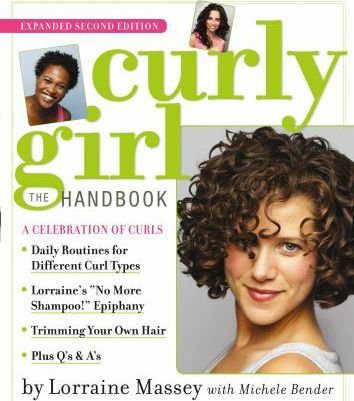 CURLY GIRL is packed with unique and fail-proof hair-care methods, inspiration, and an empowering pro-curl attitude. It's all here: daily routines for Botticelli, fractal, and wavy curls; Lorraine's no-more-shampoo epiphany-handle your hair as gently as you do your best cashmere sweater; homemade lotions and potions. New to this edition: an illustrated, step-by-step guide to trimming your own hair (Remember: It's not what you take off; it's what you leave on. ); a section on the particular needs of wavy hair; Lorraine's Down-and-Dirty Curly Boy Routine; more fabulous 'dos for weddings and other special occasions; a chapter on multicultural hair written by an African American specialist at Devachan. Celebrate the beauty of curls in a buoyant how-to, manifesto, and curly girl support group all in one. Beginning with hair's true nature and underscored by Lorraine's Shampoo Epiphany - handle your hair as gently as you do your best cashmere sweater - it's all here: the care, the styling, the cuts, the dos, the tips, the products, the remedies, the attitude. Tight coils and soft wavy tresses, African American curls and curly kids - this is what to do to look and feel your best. Includes: Curly Cues and Quizzes, Daily Routines for Corkscrew, Botticelli, and Wavy Curls, Homemade Lotions & Potions, Q&A's for No More Bad Hair Days, Twelve-Step Recovery Program that will change your life, one shampoo at a time.